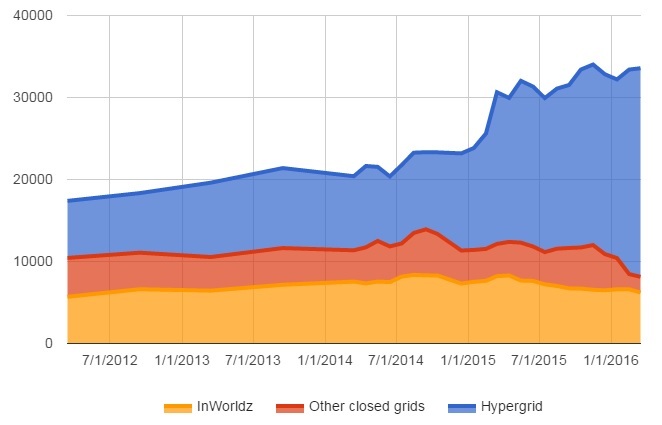 The popular and fast-growing Great Canadian Grid is rapidly nearing 1,000 named regions — but it won’t grow any larger than that, grid founder Roddie Macchi told Hypergrid Business today. This is the first OpenSim grid to formally announce that it will limit its land area. New user accounts will continue to be allowed, however, and visitors will also be able to travel to the grid via hypergrid teleport. The grid currently has 897 named regions, or the land area of 1190 standard region equivalents. Some named regions are varregions, and more than one standard region in size. The cap is on the individually-owned, named regions only, Macchi said. Macchi added that he does have a great in-world support team, but does not want to be the kind of grid owner who has to delegate all the support calls and has no time to interact with the residents. Residents have overwhelmingly supported his decision, he added, with 83 percent voting in favor of the cap in a recent poll. “They either miss me or because they also believe I should be able to enjoy my own creation,” he said. Last year, Great Canadian Grid was the second fastest-growing in terms of active user numbers, with only OSgrid ahead of it. 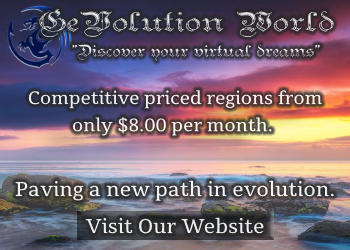 In addition, since last March, the grid was the fourth fastest-growing in terms of land area, after OSgrid, Kitely and DigiWorldz. Grid users who want to have land on the grid after the cap goes into effect can sublease lots from existing land owners, Macchi said. The grid will set up a waiting list for those who want to rent full regions, and make them available as previous land owners cut back on their land holdings. Otherwise, the grid should not be affected, he said. “This will not effect the economy at all since hypergrid is very much open and people can still purchase stuff here,” he said. In addition, the Kitely Market will continue to deliver purchases to the grid. 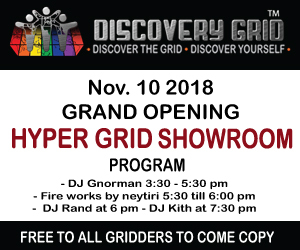 “The hypergrid has made it very much a great way to find that one grid you can call home, live on it and shop anywhere and everywhere whether it be at home or on other grids,” he said. OpenSim’s public grids reported a total of 33,707 active users this month, 25,434 of whom were on hypergrid-enabled grids. Of the 8,137 active users on closed grids, 6,216 were all on InWorldz and the 59 other closed grids had just 1,921 active users among them. A single 15,000-prim region on Great Canadian Grid currently rents for CAD $25 per month, or about US $19. A four-region-sized varregion with the same number of prims is CAD $30. The grid originally launched with CAD $5 regions, but prices rose along with demand and overhead requirements. 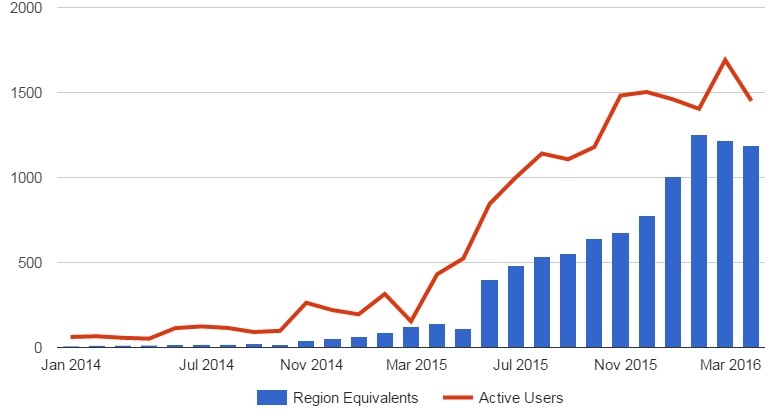 If usage continues to climb, then it is possible that land costs will increase as well because of market demands, and the need to support more users and provide storage for more user inventories. Customers who bought at lower rates don’t see the increase, however, said Macchi, as the rates are grandfathered in for the lifespan of the region. “I would never jack up their rate as demand grows to people who have already bought land,” he said.